Show and Tell Meg: $15 Credit for New Members to One Kings Lane = Free Stuff! $15 Credit for New Members to One Kings Lane = Free Stuff! 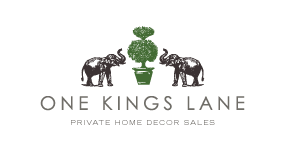 OneKingsLane.com is a home decor deal site (that has some really unique stuff) and they are currently offering a free $15 credit for all new members when you sign up! What makes this even better is some people have reported it allowing that money off of the shipping costs too, so you could possibly snag something completely free! Their sales change everyday and they end up having a lot of sales on cookware, etc so if you don't see something you like now, just check back tomorrow! Hurry and sign up now to get your free $15 - you never know how long these things will last!